Estuary Edge is a studio apartment overlooking the Plummer's Point estuary. The studio is located on a sunny orchard property, surrounded by bush and fruit trees. There are many awesome places to explore in the area - Plummer's Point peninsular and wharf, the fountain gardens, horse treks, and various fishing spots are all close by. There is private access to the estuary directly from the front of the studio. Enjoy a morning dip or take the kayaks to go exploring the local waterways. Escape the crowds and enjoy a stay in paradise! Mt Maunganui, downtown Tauranga, Omokoroa and Waihi are all within easy reach from this location. - A train bridge crosses the estuary nearby, so you may hear the odd train passing, but we find this isn't disruptive and can be fun to watch! - The studio is mainly available only for weekend/extended weekend stays (e.g. Thur-Mon). However, feel free to make an enquiry if you have other requirements as we are happy to discuss. A great place to go to unwind... awesome hosts, very quiet and wonderful view to greet you each morning. I could not have asked for anything more for my get away. Thoroughly enjoyed our overnight stay at Estuary Edge. A very well appointed accommodation option, with extremely comfortable beds and awesome shower. A great stay. Lovely decor and views of estuary added to the tranquility. Fantastic place when you want to be out of the city but close enough to get in to do what you need/want. Very nice home. 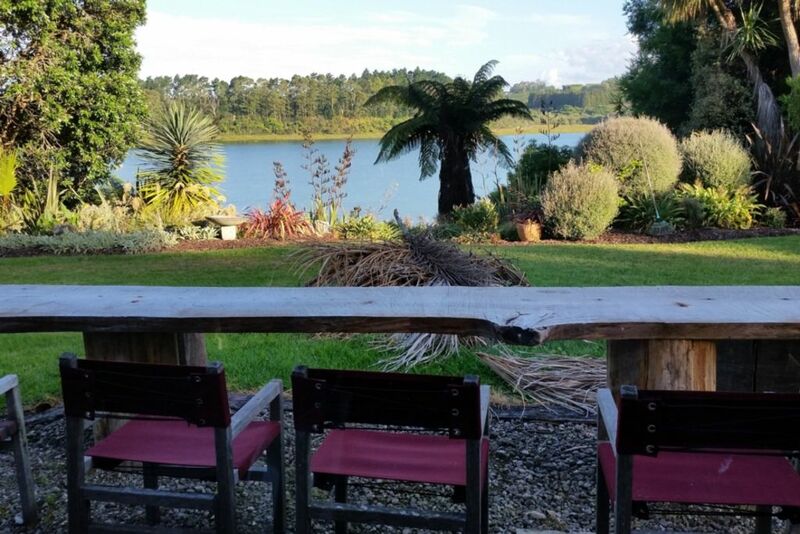 Peaceful place to be with an great setting amongst the orchard and estuary views.